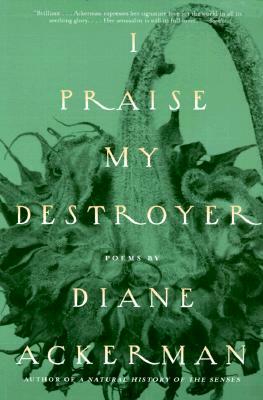 In her first new book of poetry since Jaguar of Sweet Laughter, poet and naturalist Diane Ackerman combines her deep understanding of the world with her immense passion for language to craft richly sensual poems that "honor all life/wherever and in whatever form/it may deal." Imbued with ravishing imagery, these exuberant and lyrical explorations of aging, longing, and death demonstrate Ackerman's full engagement with every aspect of life's process. Ackerman muses on the confines of therapy sessions, where she intersects "twice a week/in a painstaking hide-and-seek/making do with half-light, half-speak"; relishes the succulent pleasure of eating an apricot, with its "gush of taboo sweetness"; and imagines the "unupholstered voice, a life in outline" in her stunning elegy to C. S. Lewis. Whimsical, organic, and wise, the poems in I Praise My Destroyer affirm Ackerman's place as one of the most enchanting poets writing today.